These buckets come in a variety of colors, from vintage copper to sky blue. For your next event, choose a color that matches your theme and fill this bucket with favors or other decorations. It is the perfect size to decorate a buffet or large table and can be coordinated with anything you can imagine. 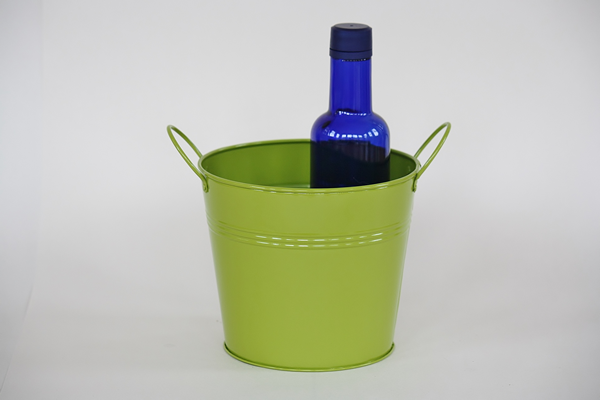 We also offer these smaller metal buckets in 4 colors or larger wooden handle buckets in 20 solid colors to best suit your needs.